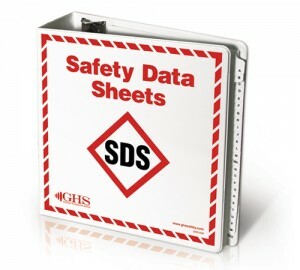 As part of the Global Harmonized Hazmat System created by the United Nations, and adopted by OSHA, traditional MSDS sheets that are now made available by manufacturers and distributors of CAS listed substances and products will be transitioning to a new harmonized safety data sheet (SDS). The changes are designed to simplify communication regarding hazardous materials and promote international consistency in labeling, compliance, worker and responder training. MSDS and SDS: What’s the difference? An MSDS (Material Safety Data Sheet) is a document that accompanies a hazardous chemical, substance or product that has an assigned CAS number. It indicates all the dangers associated with the material, as well as instructions regarding handling, storage and disposal. MSDSs are a key aspect of the Right-to-Know provision of OSHA’s Hazard Communication Standard (HazCom). The HazCom standard is being updated because the earlier version allowed for several formats for an MSDS, including an OSHA version with eight sections and an ANSI version with 16 sections, etc. OSHA’s updated HazCom program, now aligned with the GHS program, requires that all manufactures and end users of CAS listed materials and substances to utilize the new harmonized SDS format. The “M” in MSDS is being dropped as well. So in short, the name is being simplified, and the format and content are being standardized to global standards. JUN 01, 2015: Manufacturers and/or importers of any item or substance covered under MSDS (now SDS) requirements will have MSDS sheets (now SDS) available in the new harmonized format. DEC 01, 2015: Distributors will have access to, and make available, the new harmonized SDS data sheets. JUN 01, 2016: Full OSHA HazCom compliance necessary for employers, manufacturers and distributors. All Teflon® & Tefzel® branded fluoroplastic materials are CAS registered products that require Safety Data Sheets (SDS) for each product. Click the Fluorogistx “Safety Data Sheet” web link provided above. Select the appropriate product family. Click on the desired product to open the SDS in .pdf format. Right click on the document to Save As to any location you wish. If you should need assistance in transitioning from MSDS sheets to SDS sheets for any Teflon® or Tefzel® branded material please feel free to contact us.